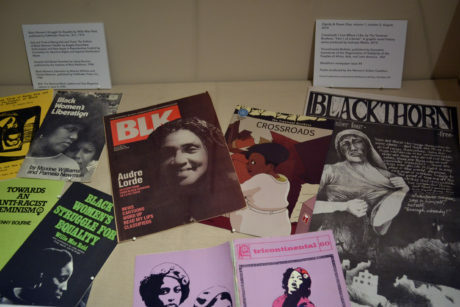 Black Women/Black Lives explores the symbolic and narrative portrayal of Black women in art and material culture inspired by Civil Rights and Black liberation movements of the 1960s through our own 21st century moment. 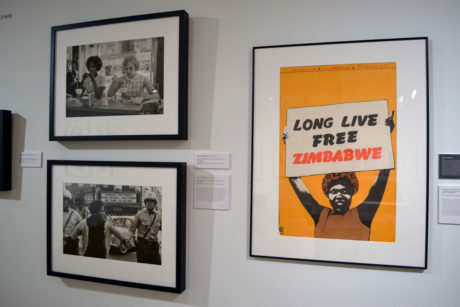 Anchored by recent gifts from Gund Gallery Board Member David Horvitz ‘74 and his wife Francie Bishop Good to the Gund Gallery Collection, this Gund Associate (intern)-curated exhibition offers a gendered lens through which to view 20th century civil rights activism so that we may better understand the roots and the aspirations of the political consciousness generated by Black liberation art, ephemera and digital culture today. 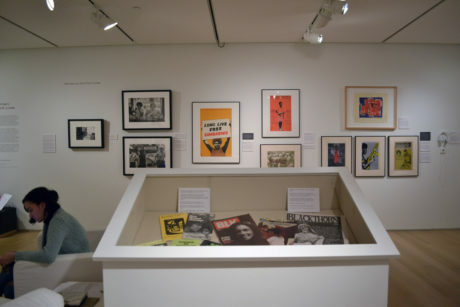 Artists: Bob Adelman, Romare Bearden, Claire Beckett ‘00, Bruce Davidson, Wanda Ewing, Jacob Lawrence, Faith Ringgold, Lorna Simpson, Renée Stout, and material culture from Interference Archive (NYC).